Before the formation of present Andhra Pradesh, in 1953, the pattern of local self-government was modeled on the one already operating in Madras and Hyderabad States under different Acts such as Madras District Boards Act, 1920, Madras Village Panchayats Act, 1950, Hyderabad District Board Act, 1951 and Hyderabad Village Panchayats Act, 1951, etc. In 1953, three types of rural local self-government institutions were existing in the State, namely, District Boards, Taluk Boards and Village Panchayats. Andhra Pradesh has a long history of Panchayati Raj governance dating as far back as 1959. The Panchayati Raj System came into being in the State as a result of the report of the study team headed by Balawant Rai G. Mehta. Basing on the Balawant Rai G Mehta Committee Report, the State had adopted a three-tier Panchayati Raj structure, consisting of Gram Panchayati at bottom-tier, Panchayat Samithi at middle-tier and Zilla Parishad at top-tier. As such, Andhra Pradesh Panchayat Samities and Zilla Parishads Act, 1959 was passed and by the end of 1959, these statutory elected institutions had been established in all the districts. The Constitution (73rd Amendment) Act, 1992 has been passed by the parliament with a view mainly to strengthen and revitalize the Panchayati Raj bodies so that they can sub serve the needs of the teeming millions that live in rural areas. Prior to the Constitution Amendment, the Government has appointed an Expert committee on Panchayati Raj bodies headed by Sri. B.P. Vittal, I.A.S. to examine and submit a report on the reorganization of the Panchayati Raj set up and also on the re – organization of revenue set up below the district level. During the Telugu Desam Government under the Chief Ministership of. N.T. Rama Rao, Andhra Pradesh Government brought about reforms in Panchayati Raj as well as revenue administration by introducing Mandal system, in order to achieve democratic decentralization and to bring administration to the door step of the people. As such the earlier Andhra Pradesh Panchayat Samithis and Zilla Parishads Act, 1959 was replaced by the Andhra Pradesh Mandal Praja Parishads, Zilla Praja Parishads and Zilla Pranalika Abhirudhi Sameeksha Mandals Act, 1986 (Act No. 31 of 1986). According the three tier system comprises of Gram Panchayat, Mandal Praja Parishads and Zilla Praja Parishads, came into force by replacing Gram Panchayats, Block Panchayats and Zilla Parishads. The present pattern of Panchayati Raj in the State is functioning under the Andhra Pradesh Panchayati Raj Act, 1994, which was enacted on 21st April of the same year in the light of the 73rd Constitutional Amendment Act, 1993. The Andhra Pradesh Panchayati Raj Act 1994 has incorporated all the requirements of the 73rd Amendment to the Constitution. It is a comprehensive legislation covering all the three – tiers of Panchayati Raj. In addition to reservation for the SCs, STs and women provision is also made for the members of the backward communities. At the present intermediate level, there are 1095 Mandal Parishads, each of which has a population ranging from 35,000 to 55,000. At the apex of the ‘Panchayati Raj’ structure, there are 22 Zilla Parishads, each covering 50 Mandals on an average and with an average population of 22 lakhs. 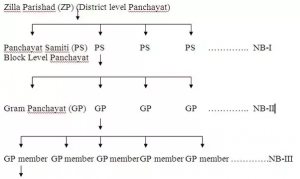 The final tier of the Panchayat Raj system is the district council (Zilla Parishad) composed of members elected from Zilla Parishad Territorial Constituencies (which are congruent to the mandal area). The ZP elects a president indirectly from amongst its members. Members of the Zilla Praja Parishad include – a member elected from territorial constituency, which is obviously a Mandal; a member of the legislative assembly of the State representing constituency, which forms part or whole of the district concerned; a member of the counsil of the State, who is a registered voter in the district; and two members each belonging to minorities and co-opted by the elected members of the Zilla Parishad. Above the GP is the Mandal Parishad (sub-district committee) comprising the area of around 20 GPs. The residents of Mandal Parishad Territorial Constituencies (MPTC roughly corresponding to the Gram) elect members to a Mandal Parishad (MP). The MP members in turn elect a Mandal Parishad President (MPP) from amongst themselves. In contrast to GP elections, political party competition is allowed at the MP level. In every Mandal head quarter, a Primary Health Centre, Veterinary Hospital, High School, Junior College, Police Station, Library and Market Yard be established, to provide all facilities to the people in one place. The Gram Panchayats in Andhra Pradesh stand at the base of the three tier structure of local governance with the Zilla Parishad at the district level and the Mandal Parishad at the intermediate level. Andhra Pradesh comprises 23 districts including one urban district, namely, Hyderabad, covering 1091 mandals. Along with 22 Zilla Parishads, 1095 Mandal Parishads, there are 21, 895 Gram Panchayats in Andhra Pradesh covering a population of 5,63,11,788 (2011 Census). The Costal Andhra Pradesh region of the State is made of nine districts. It has a total of 8,909 Gram Panchayats in this region covering 40.69 per cent of the total Gram Panchayats in the State. In this region, Srikakulam district has the highest number of Gram Panchayats (1106), followed by Prakasam (1041), Guntur (1022), East Godavari (1011), Visakhapatnam (976), Krishna (973), Nellore (961), Vizianagaram (931) and West Godavari (888). Rayalaseema is made of four districts and this region has 4,131 Gram Panchayats (18.87 per cent). In this region, Chittoor district has highest number of Gram Panchayats (1399), followed by Anantapur (1005), Kumool (898) and Kadapa (829). According to the Andhra Pradesh Panchayati Raj Act, 1994, every Gram Panchayat consists of two wings known as ‘Gram Sabha’ and Panchayat. 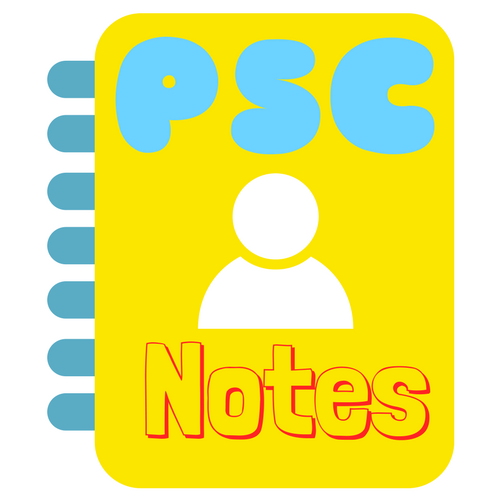 The Gram Panchayat shall give due consideration to the suggestions, if any, of the Gram Sabha. Gram Sabha consists of all persons whose names are included in the electoral rolls. The Gram Sabhas met atleast twice a year to consider the annual statement of accounts and audit, the report of the administration for the previous year, the programme of works for the ahead, and the proposals for fresh taxation or for enhancement of existing taxes. The Sarpanch (President), or in his absence, the Up-Sarpanch (Vice-President) of the Gram Panchayat has to preside over the meeting.